← Levar Burton Breaks Down Twitter, Reading Rainbow Style! Share past holiday photos, traditions and stories. Talk about your favorite TV shows and what you love about them. List your all time favorite actors and why you like them. List your all time favorite bands, songs, and/or musicians and why you like them. Host an open discussion about what a reader wants from an author, book and/or series. Post and interview of some of your blog followers who comment the most. Hold a competition for your fans on designs for certain merchandises. Share your current favorite song of the day and/or week. Remind your fans of what social media platforms they can follow you on. Highlight your favorite quotes about writing. Talk about how you can use your favorite TV show as inspiration for characters, plots and scenes. Talk about how you use music during your writing process. Host an open discussion about the writing industry. Spotlight great writing articles from other writers/authors/bloggers. Talk about the query process and any personal experience you have with it. Talk about blog newsletters, their benefits and how to use them. Talk about flash fiction and how it can help or hinder your writing career. Update an older popular article with some new information and/or links. Talk about the different types of jobs writers could do and how to find them. Talk about grants for writers, how to apply for them and where to find them. Talk about how to handle bad reviews and how to learn from them as a writer. Make a list of publishers in your genre, what they are looking for and how to submit to them. Talk about social media groups, how to find them and how to use them. Talk about street teams, how to form them and how to use them. What are press releases and media kits and how to make them. Talk about your first ever completed manuscript, how you felt about it then and now, and if it was published. Talk about your first book that was published, how you felt about it then and now and how well it sold. Talk about when, how and why you decided to write stories to be published. Talk about the latest news in your industry and genre and give your opinion on it. Post a philosophical question and your answer to it. Review movies that were based off of books and talk about whether or not it did the book justice. Review TV shows that were based off of books and talk about whether or not it did the book justice. Talk about your favorite causes (charities) and why they are important to you. List your favorite books from when you were a child and talk about how you see them as an adult. List your favorite books this year and why you like them. List upcoming books you can’t wait to read. List your favorite book heroes, heroines and villains and why you like them. Talk about rejection and disappointment and how to handle them. Describe your ideal home library. Share your fears and anxieties about your writing career. Share your hopes and aspirations about your writing career. Take a photo of your work/writing space and talk about it. talk about a genie grants you 3 wishes to use towards your writing career. What are they and why? List some of your favorite book trailers. Talk about a genre you secretly want to write in but fear you aren’t able to. This entry was posted in Blog Resources and tagged Authors, Blog, Blogging Ideas, Blogging Resources, Darla G. Denton, Resources, Writers. Bookmark the permalink. Agree with Mishka. In fact, the Eight Ladies were just discussing what to do when we have an “I don’t have time to write a post” week. I’ll refer them to this often! Thanks! What an incredible resource of ideas! Thanks a lot. i’m a blogger who committed to blog daily and struggle sometimes to find a topic that’s valuable for my readers. So that’s exactly what I needed! Hi Mona, thanks for stopping by and checking out the article. I had the same problem last year. The struggle was so real that I kept putting out off writing a blog post till almost the last minute. So i finally took a few days to jot down some ideas. I decided to make a blog post about it because i knew there were other bloggers out there struggling with the same problem. As I’m preparing to relaunch my blog as an aspiring children’s author, this post is like gold! Thanks for sharing this! Your welcome! Feel free to share with all your blogging friends. 🙂 Just let them know where to find it. You’re welcome 🙂 and thank you for taking a moment to let me know. I found that if I had a list to spark an idea for blog posts I never had writers block. Darla G. Denton is amazing. 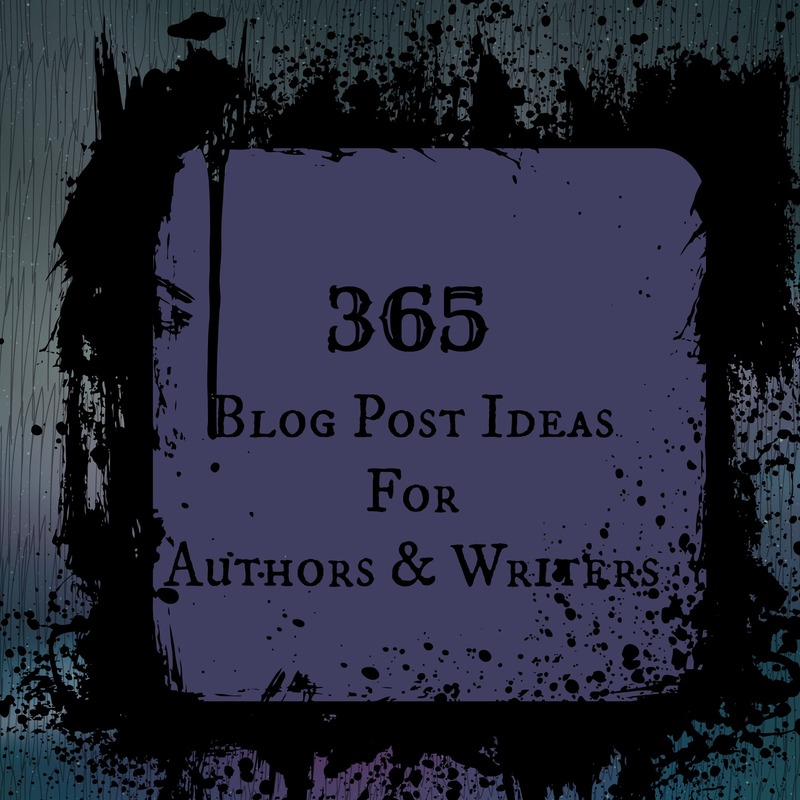 She has come up with 365 ideas for blog posts for writers and authors. Perhaps she has had help, but, still, 365? One for each day of the year – except this one, 2016, which is leap year. Maybe I could come up with just ONE for that day on my own. Thanks Darla. Thanks for this list! I’m floundering and my turn is coming up on a team writing site – Writers in Residence – and I’m at a loss to think of what to write. I’ll also try to come up with ONE EXTRA, because this year is Leap Year and there are 366 days. You are my life-saver today!! I’m working on my first book, a romance set in a small (fictitious) town in Texas, working on getting my website (blog) set up, and have been SUFFERING THE AGONIES OF THE DAMNED about “what to blog about.” I read your post and breathed a huge sigh of relief. Thanks, thanks, and thanks again. Lol I’m glad I could be of service in your time of need 😉 I can’t wait to read what you put out! Darla, this is an excellent list! I have shared it with the authors that are participating in an event coming up. I’m trying to organize a PR tour of sorts for them. It’s called Romancing the Smokies (it’s in TN in March). There’s a free book signing and there’s also a component where you can have lunch and attend some parties with the authors for a fee. I wanted to have some original guest posts from them to share with bloggers so readers could get to know them a little better. Thank you Felita and thatnk you for sharing it with your other authors. I’m no longer in TN but your PR tour called Romancing the Smokies sounds fun. When you get dates and such let me know and I’ll pass the information along. This is an awesome list that I will definitely be drawing from when I’m looking for blog ideas for my website! Thank you, Darla! I love this blog. It’s helped me out with my own. Thanks for this. I’m printing them out and beginning next week for my spot on TheWritersInResidence blog. Even just skimming through the topics, I am very impressed. Never will I have to struggle for a topic related to writing again, I think. Thank you so much for all these stimulating ideas. Hi, Darla. I’m new to your site and have to admit it was the 365 Blog ideas that caught my eye. I used to write a blog a week and began to wonder how much more can I write about writing? You have given me a whole new perspective. Thank you for generously sharing these topics. I know I won’t have any more problems wondering what to write.